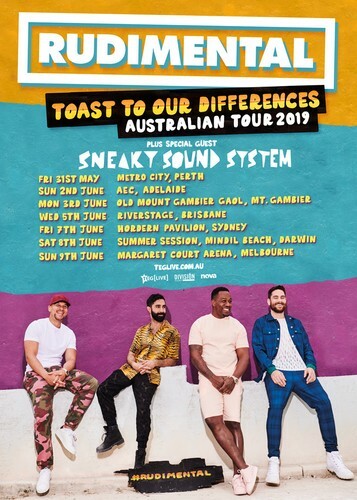 East London luminaries, Rudimental have announced they’ll be heading back to Australia for a national tour in Masy throuhh to June 2019, as part of their 'Toast To Our Differences' world tour to celebrate the release of their new album released globally last January 25, 2019. It’s been over two years since the full band last toured here. But the good news is, they’re pumped to get back to our shores. Piers Agget enthuses, "We can't wait to come out to Australia again. 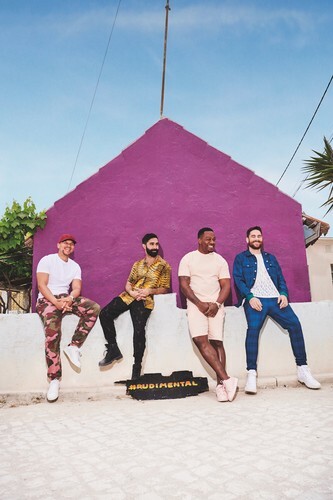 It feels like our second home, we're gonna be playing the new album and touring with new singers and bringing a new spin on that Rudimental vibe". Tickets go on sale at 11am (local time) on Wednesday 10 October 2018 through Ticketek.